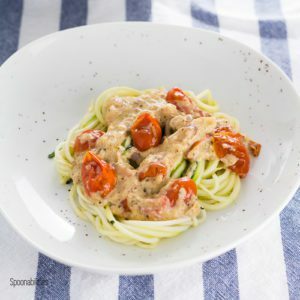 Artichoke Lemon Pesto Pasta Salad with Green Bean and Potato is a delicious summer recipe with a lemony tang, rich artichoke & Asiago taste, and creamy texture. This cold pasta salad is great as a side dish with a summer barbecue, or even just by itself for lunch. 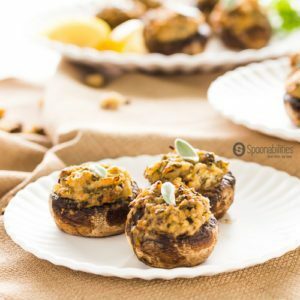 Easy Artichoke Lemon Pesto Stuffed Mushrooms is a quick and tasty appetizer for your next party. An Italian inspired appetizer recipe made with our Artichoke Lemon Pesto from Elki, that has an authentic Mediterranean flavor with tender artichoke bits, and fresh, tangy zest of fresh lemons, fresh garlic, and salty Asiago cheese. 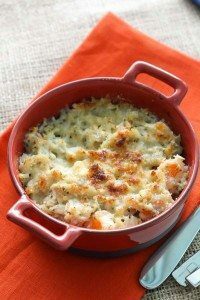 Asiago Crab Artichoke Dip is an easy appetizer recipe that you can make in under 30 minutes. Made with our Artichoke Lemon Pesto, this dip is lemony, cheese & meaty. Delicious! Artichoke Parmesan Bites is one of our “Easy 1-2-3” Recipes. 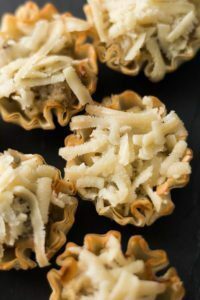 The crunchy phyllo shell holding tasty Artichoke Lemon Pesto is perfect for an easy entertaining appetizer. 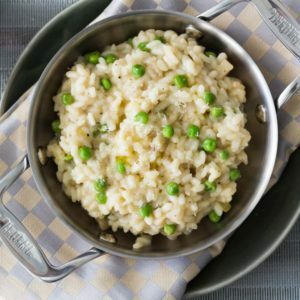 Risotto is one of my favorite recipes. This time I decided to cook a very easy Parmesan Artichoke Risotto by taking little pieces from different recipes and creating my own recipe. Using a basic risotto recipe as a base, I added Mascarpone Cheese, Peas, and our Artichoke Lemon Pesto by Elki. ENJOY! Looking for a really EASY RECIPE for your next entertainment party? Then you came to the right place because the Seafood Artichoke Pesto Gratin is a stress-free party delight. 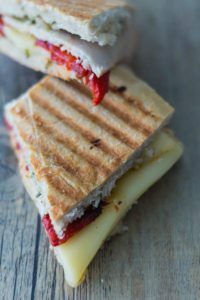 Just a few ingredients and in 10 minutes you’ll have it ready in 1-2-3. 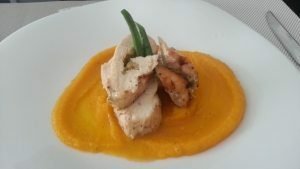 This recipe from The Test Kitchen for Stuffed Roasted Chicken with Artichoke Lemon Pesto and Butternut Squash Puree uses our Artichoke Lemon Pesto and Pure Cottonseed Oil.